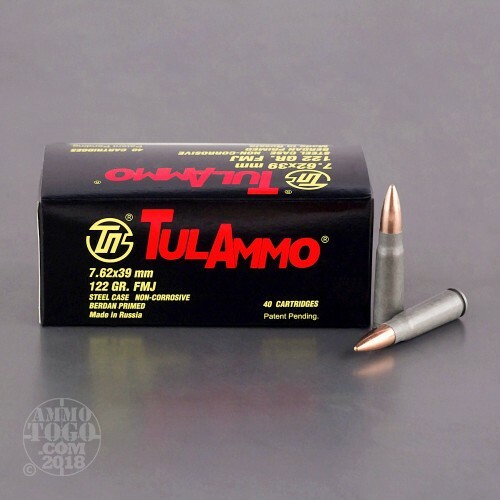 Tulammo is a great choice for affordable ammunition to get you out to the range. These cartridges are loaded into cost effective steel cases that are berdan primed and non re-loadable. Each projectile in this case of 1000 is a 122 grain Full Metal Jacket that leaves the barrel at 2,396 feet per second. Tulammo is produced by The Tula Cartridge Works which was founded in 1880. Tula Cartridge Works is one of the largest ammunition manufacturers in the world. 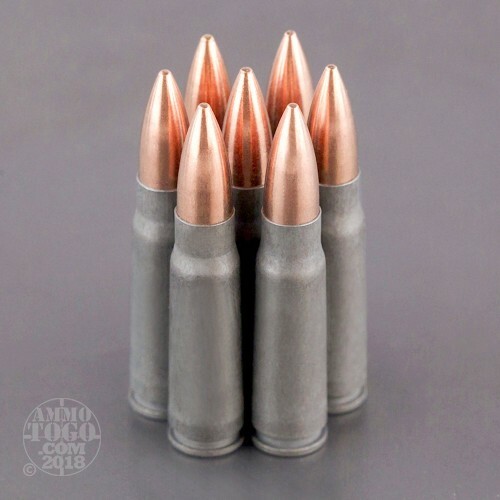 They produce millions of rounds each year and have a reputation for providing affordable ammunition that is great for volume shooting at the range. Their headquarters and manufacturing facility are located in Tula, Russia and they export their ammunition all over the world. Easy to work with. Quick delivery. I'll be back! 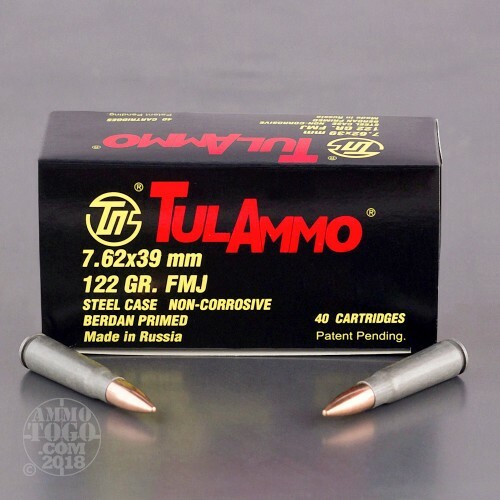 Good plinking ammo, have used this stuff for years with no issues. Price and service cannot be beat. Same group size as the first case of Tula. Two in. low and right of POA. A few clicks on the scope. Far better on accuracy and velocity than Fiocchi, (400 FPS and really could not call the result a "Group"). My AK loves this ammo. AMMO TO GO IS FAST AND ACCURITE .